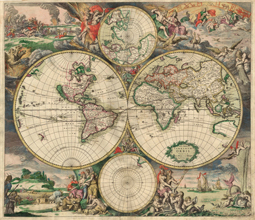 Editable royalty-free map of Thematic maps (country dial and internet code, int.organizations e.g). in vector-graphic online store. Internet suffix of world countries. 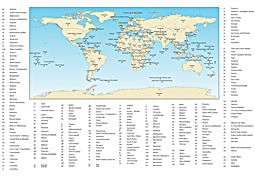 Printable world map..